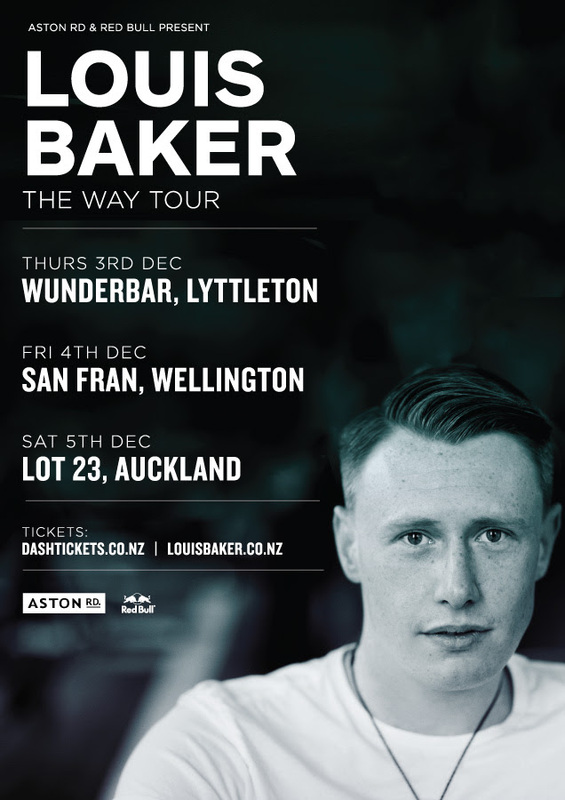 Soulful singer-songwriter Louis Baker completes a stellar year with the release ofThe Way, a future beat remix by Devin Abrams, and announces an eight-date trans-Tasman tour. The Way, originally recorded at the Red Bull Music Academy in New York, was inspired by the concept of what it is like for a human being to accept change in their lifetime. Invited to participate in AIRBORNE \\, a music video postcard series created by The Renegade Peach Project, Louis asked his friend and collaborator Devin Abrams to rework the track. The result is a sparse and emotive post-dubstep production that breathes around Bakers introspective vocal. “To hear The Way evolve through working with my bro' Devin has been an absolute pleasure. I added new guitar parts and vocals while Devin worked his skillful production magic. I really love what he has given sonically to this track" says Louis of the remix. Accompanying the release is a tour that will see Louis play main cities in New Zealand and return to Australia for the second time this year.